Massages are an excellent way to unwind and relax after a stressful day or week at work, and at Pure Day Spa, we provide the best massages Durbanville clients have ever experienced! Massage therapies involve working on the body using pressure. This pressure, be it unstructured, structured, moving or stationary, is firm yet gentle and is sure to release all of the built-up tension in the muscles. Massages are not merely a treat; they also promote general well-being and relaxation. So, if you find yourself in the Durbanville area or surrounds, come and pay us a visit and treat yourself with a relaxing massage or to a gift voucher for yourself or a friend or loved one to enjoy at their leisure. 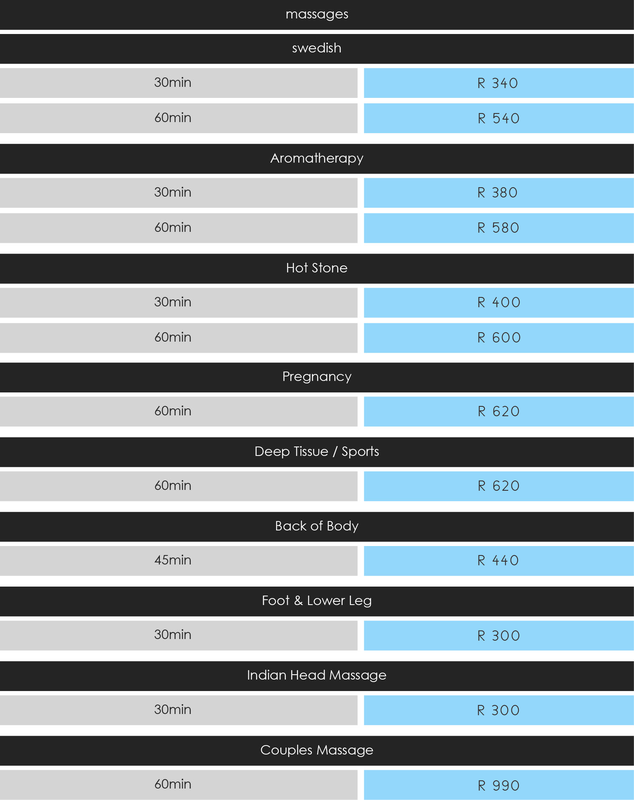 Relieve stress and promote relaxation and wellbeing through the use of our massage therapies. With our back, neck and shoulder, or full body massages, guests are sure to feel completely at ease and able to take on whatever life may throw at them. Pure Day Spa provides the most exclusive range of massages, and our offerings include Swedish Massages to encourage relaxation and health benefits, Aromatherapy Massages to lift the mood and entice the senses, Hot Stone Massages to relax the muscles, Pregnancy Massages to soothe aching muscles and joints and much, much more! 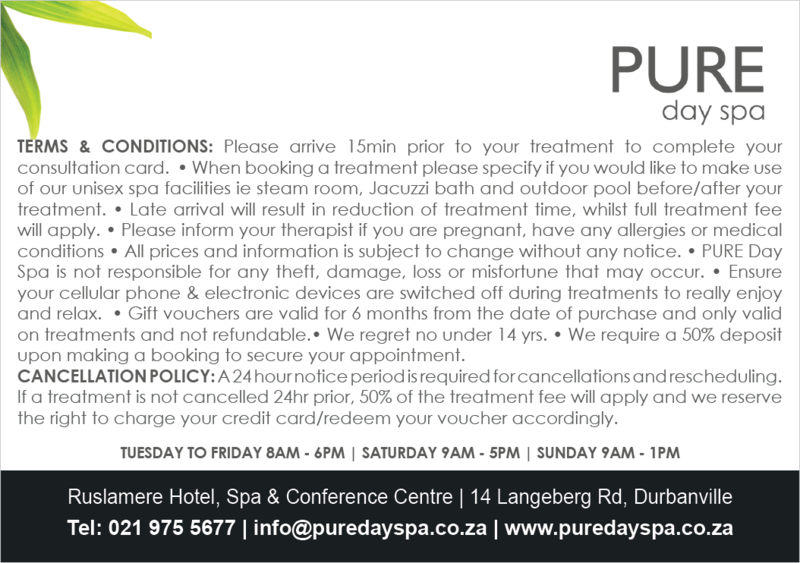 If you are interested in spending a day enjoying some of the best massages Durbanville has to offer, Pure Day Spa is the ultimate solution. We pride ourselves on providing clients with massages that not only relax and unwind tight muscles but also provide other health benefits. Our Deep Tissue and Swedish Massages are used to increase blood circulation and stimulate the nervous system, helping with emotional and physical stress. We provide fantastic Indian Head Massages, which can feel similar to a reflexology massage (performed on the feet) but the effects are felt throughout the body. Come to Pure Day Spa and spoil yourself with a sumptuous massage, or treat your loved one to a fun Couple’s Massage treat! SUNDAYS 9AM – 1PM | PUBLIC HOLIDAYS & AFTER HOURS ON REQUEST.